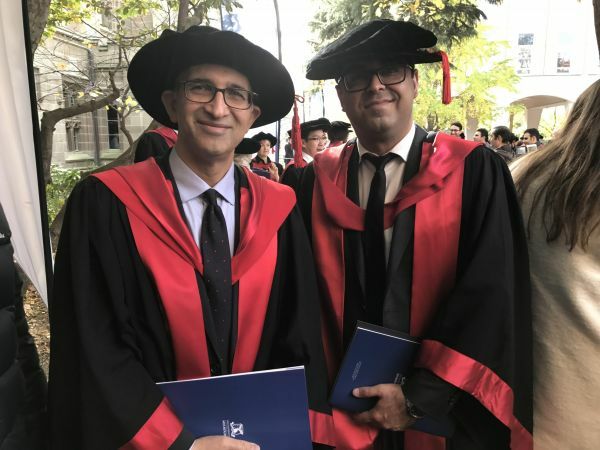 CDMPS congratulates Dr Farhad Laylavi on receiving his Doctorate degree this Saturday the 27th of May at the University of Melbourne. He is the first PhD Graduate from CDMPS. In his research, Farhad investigated the role of social media in emergency management and developed a multi-element framework for adopting Twitter data in emergency response. This framework identifies tweets related to an event and estimates their location. It provides timely insights into local communities' observations and knowledge and can improve emergency management and public safety operations. In times of a major emergency, it can often take emergency services many hours or even days to gain access to an event location. Farhad's proposed framework can be used by first responders and emergency management agencies to inform them of impending dangers, issue necessary warnings, monitor situations and better allocate available resources. Farhad possesses over ten years' experience in design, analysis, and programming GIS applications in urban planning and emergency management contexts.